I am constantly painting my nails. Whether it is for fun or for an event I have, I always find myself painting away. When I first heard about a “gel manicure,” I was intrigued. I do not go to get my nails done very often, but the gel manicure was said to be “different.” Things I heard included: “It lasts longer!” or “The nail polish doesn’t get chipped!” So obviously I wanted to give it a try. And the things I had heard from people were pretty accurate. My nails definitely did last longer! They were more expensive, but again, they lasted. But when I heard about gel manicures being linked to cancer, I was in shock! I knew so many people who got them frequently. I decided to do some research on the topic and see whether what I had heard about gel nails being linked to cancer was true. Here, the null hypothesis would be that gel manicures are not in any way linked to cancer and do not cause it. The alternative hypothesis would be that gel manicures do have a correlation to cancer, and there is a possibility that gel manicures can cause cancer. According to Dr. Oz, gel manicures have been said to cause infection or allergic reactions. He performed a study by sending a group of women out to get gel manicures to see the potential threats of the manicure. The main concern about gel manicures for people are the UV lights. The UV lights are used during the manicure to dry the nails. These lights are what have been said to possibly increase the risk of skin cancer. The lights release UV radiation, according to skincancer.org. The lamps generate UVA rays, which have been connected to both premature skin aging and skin cancer. A dermatologist interviewed on Dr. Oz explained that many women are seeing more damage to their nails after receiving gel manicures. She explains that the removal process can also be harmful. Unlike regular manicures, gel manicures must be soaked in acetone to break down the gel. After soaking in acetone, our nail polish must then be scraped to get rid of the actual gel polish. 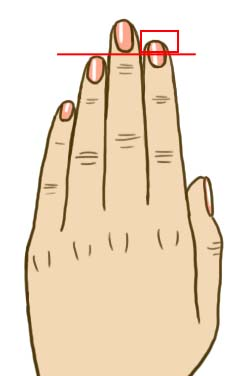 Because the removal of the manicure requires so much, it can cause our nails to thin. But even after doing more research, the idea that gel nail polish increases our risk of skin cancer was not confirmed. SkinCancer.org explains that even the most intense of the UV light devices presents only a small UV risk. The source goes on to say that the risk for cancer is a far lower risk than that presented by UV tanning devices. A suggestion given to be safe is to apply a broad-spectrum sunscreen to the hands 20 minutes prior to UV light exposure. So, although there are some risks taken while receiving a gel manicure, the risks did not seem to be as high as I thought they’d be. It is important to be careful, and I guess if I ever receive a gel manicure again, I will apply sunscreen prior to protect myself. But overall, there were no serious risks. Although the alternative hypothesis was not entirely correct, the null hypothesis was not correct either. There are links to gel manicures and cancer, but they are extremely small. A third variable to why one might be at risk for cancer after receiving a gel manicure might not be because of the manicure itself, but rather they are out in the sun too much. This entry was posted in Uncategorized on December 1, 2016 by Madelyn Erin Peikin. Do Certain Foods Make us Tired? With Christmas coming up and Thanksgiving having just passed, I can honestly say one of my favorite parts is the food. Right before Thanksgiving break all I could think about was all of the food I was going to get to eat at home, and I couldn’t wait. So when it finally came time for dinner on Thanksgiving Day, I stuffed myself. I always do. But there is one thing I have always noticed after eating a huge meal on Thanksgiving—I always get extremely tired afterwards. Why is this? Does this happen to everyone? I know I am not always tired after eating, so I decided to look into it and have my own questions answered. Here, the null hypothesis would be that food does not have any impact on how tired we are. The two do not have any correlation. The alternative hypothesis would be that food does, in fact, make us tired. According to Body and Soul, feeling extremely tired after eating a meal could be related to the types of foods we are consuming. Processed foods that contain high levels of sugar and refined carbohydrates are the types of foods that are more likely to make us tired and want to take a nap. Apparently, eating these types of foods causes a rise in blood sugar levels, followed by a drop, which results in low energy levels—hence why we might feel tired. 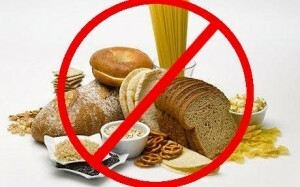 The source mentions that an excessive discharge of insulin is the body’s way of trying to balance blood sugar levels. This excessive discharge of insulin causes tryptophan, an amino acid, to move into the brain. The discharge is then absorbed into serotonin and melatonin. By definition according to medicine.net serotonin is a compound that is present in blood platelets and serum. It constricts the blood vessels and acts as a neurotransmitter. Melatonin is a hormone and is produced by the pineal gland. Both melatonin and serotonin have a calming effect and help to regulate sleep. So, the tryptophan that is included in certain foods is the thing that is probably causing us to feel sleepy, according to the sleep foundation. Foods that are high in carbohydrates make tryptophan more available to the brain, which is why foods loaded with carbohydrates can make us feel tired. After reading up on this topic, I am not surprised that certain foods can, in fact, make us feel tired, which confirms the alternative hypothesis. A possible third variable for feeling tired after eating simply might be because we don’t get enough sleep. It might not always be because of the foods we are consuming, but rather because we aren’t sleeping enough. And after doing a bit more research, according to scientific american, I found that turkey does, in fact, contain tryptophan, which is probably why a lot of people feel tired after a Thanksgiving meal! That sure answers my question! With finals and exams coming up, I think it’s safe to say everyone is pretty stressed out—including myself. I am always stressing about things, whether it’s worth it or not. I can’t help it. Once I get something in my head, I can’t seem to get rid of it and probably end up stressing more than getting my actual tasks accomplished. As I was stressing last night over things due on Friday and things assigned for Monday, I wondered if my stress affects me in any way. Because I stress out so often, I decided to do some research on stress. The first thing I came across was “Stress causes hair loss.” Honestly, this would make sense for me because my hair has definitely gotten thinner over the years! So, I decided to stick with this question: Does stress cause hair loss? Here, the null hypothesis would be that stress and hair loss have no correlation. And it would also deny the fact that stress and hair loss have nothing to do with each other. The alternative hypothesis would be that stress does, in fact, cause hair loss. Right away, I was given an answer to my question. Stress does apparently cause hair to fall out. Studies have shown that people who do not stress as much will probably not notice any significant difference. They might notice a few hairs falling out, but not enough to start asking questions. 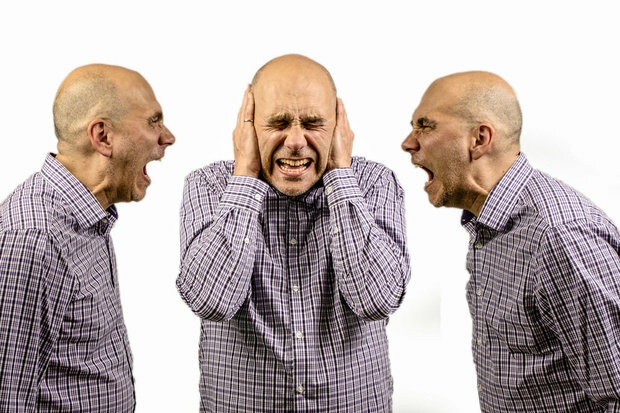 According to hair loss and care, stress causes a person’s body systems to start working incorrectly. Blood vessels on a person’s scalp experience involuntary muscle contractions and do not nurture the hair follicles with the needed amount of blood. As stated earlier, prolonged stress will then lead to hair loss. The sources also mentioned that stress prevents the hair from growing healthy and strong. Although stress can definitely cause hair loss, it is not the only thing that can. I think the fact that stress is not the only thing that causes hair loss is pretty well known, but other problems might include: shortage of vitamins and minerals, bad habits (ex: smoking), blood circulation disease, etc. For those of you that stress often, and might have noticed hair loss, there is no way to truly prevent it. One source mentions that if you are able to reduce the amount of time that you stress, your hair might stop falling out so often. There are also remedies that could be used to help your hair regain its strength. Some things include: Avoid washing your hair everyday, do not use hairdryers, do not brush your hair when it is wet, don’t wear tight hairdos, and avoid excessive sun exposure. After reading up on hair loss, I found a lot of reasons that relate to me. I am constantly stressing, and as I mentioned earlier, it has only been over the past few years that my hair has gotten thinner. I also was an avid user of sun in. I used sun in to lighten my hair in the summer, and this is definitely a main contributor to my hair loss, according to my sources. So, there is a lot you can do to prevent your hair from thinning and falling out from stress. Although we cannot help it sometimes, taking deep breaths and realizing that stress won’t solve our problems might help reduce hair loss. After reading, I am definitely going to be using some of the remedies recommended for my hair thinning. And, I will also try to avoid stressing in general—especially this week! What is the Danger of Mercury? Have you ever gotten a tooth filled at the dentist? Have you ever wondered what the dentist is filling your tooth with? Well, I have and I decided to look into it. I did not think, however, that I would come across many problems linked to tooth fillings. Many problems seem to occur because of an ingredient known as mercury in tooth fillings. Mercury, defined here is a liquid element that can be extremely poisonous to humans. Mercury is an extremely toxic element and can enter the body through an open wound or by inhaling or ingesting it. After it is taken into the body, it can cause damage to many things including the nerves and the liver and kidney. Mercury can be found in air, water, and soil. Mercury that is highly toxic can build up in fish, shellfish, and animals that eat fish. Other sources of mercury include fluorescent light bulbs, and mercury fever thermometers made of glass and silver dental fillings. Exposure to mercury at high levels can negatively affect the brain, heart, kidneys, lungs, and immune system, as stated here. How does mercury affect health? Does mercury affect your health? The null hypothesis would be that mercury does absolutely nothing to your health. The alternate hypothesis would be that yes, mercury does affect your health in some ways. This website here states that mercury can greatly affect thyroid health because it can bind to any molecule in the body that contains sulfur, along with other sites in the cell. This can prevent certain enzymes from doing their job. Because mercury can easily bind to any molecule in the body, it can easily bind to the cells of the thyroid gland, which can result in a hypothyroid condition. Mercury gets in the way of many of the minerals necessary for thyroid hormone production. 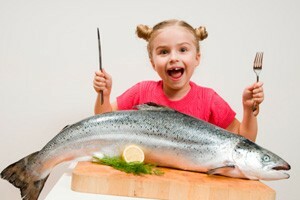 Another way mercury poisoning can occur is by eating too much fish that are rich in mercury. Although fish might be a favorite, there is always the risk of eating too much. here is a prime example of someone taking in too much mercury and getting mercury poisoning from it. The story tells of an television star whose diet was strictly fish. He ended up having to leave the show because he was in such poor condition. So next time you eat fish, don’t be alarmed but simply be careful of how much you eat! Smaller fish are said to have less mercury and are not nearly as rich in mercury. There is no use in being frightened by this but now I know I will not be having fish everyday of the week! While I was home this past weekend, I often found myself in front of the television with my mom watching her favorite show, Dr. Phil. One of the episodes we ended up watching was on a young girl with Schizophrenia. I have always had an idea of what Schizophrenia was, but I have never actually realized how serious it can be until after watching. So, I decided to do some research on what it is and how a person might be able to tell if someone has it. This article here mentions that over three million people in the United States are affected by Schizophrenia. This article here defines schizophrenia as a serious disorder of the brain affecting how a person thinks, feels, and acts, and sees the world around them. People who have schizophrenia have a misrepresented view of reality. They might see and hear things that are not real; may be unresponsive or withdrawn; and may have difficulty expressing normal emotions in social situations. They might also feel like they are always being spied on or that others are trying to hurt them. All of these setbacks for people with schizophrenia make it extremely difficult for them to deal with the world around them. Although many people think of schizophrenia and multiple personality disorder as one in the same, they are not. The two disorders are, in fact, very different. Most people who have schizophrenia are not dangerous to those around them. The causes of schizophrenia still seem to be unclear. Some theories, however, recommend that schizophrenia is caused by genetics, biology, and/or possible viral infections and immune disorders. Theories suggest that schizophrenia could be hereditary because scientists often find that the disorder runs in the family, and once one family member has it, another member of the family has a good chance of getting it as well. No one gene, however, causes schizophrenia by itself. Scientists believe that people with schizophrenia have an imbalance of brain chemicals and neurotransmitters that allow nerve cells in the brain to send messages to each other. The imbalance of these chemicals affects the way a person reacts to things around them. Environmental factors that are said to be the possible cause of schizophrenia include hormonal, social, nutritional and chemical environment in the mother’s womb during pregnancy. The article mentions that babies whose mothers get the flu while pregnant are more at risk for developing the disorder later in life. There are numerous signs that may become visible if a person thinks he/she has schizophrenia or knows someone who might have the disorder. Signs of schizophrenia can differ and might not show up right away. Signs may include things like hearing or seeing something that isn’t there, a change in personality, inability to sleep or concentrate, a constant feeling of being watched, a change in personal hygiene and appearance, etc. It is extremely vital that anyone who is experiencing these signs seeks help immediately. Symptoms of schizophrenia include delusions, hallucinations, disordered thinking and speech, and disorganized behavior. Delusions can be defined as false and illogical but firmly held beliefs because of inability to differentiate between real and fake experiences. Hallucinations might include seeing, feeling, hearing, or smelling something that does not actually exist. The most common example of a hallucination is hearing voices. Someone with disordered thinking will have trouble keeping track of his or her thoughts or conversations. Disorganized behavior might include things like problems with hygiene or choosing appropriate clothing for the weather. Although a person with schizophrenia can never be fully treated, there are ways to improve the disorder, especially if that person is seen early on. 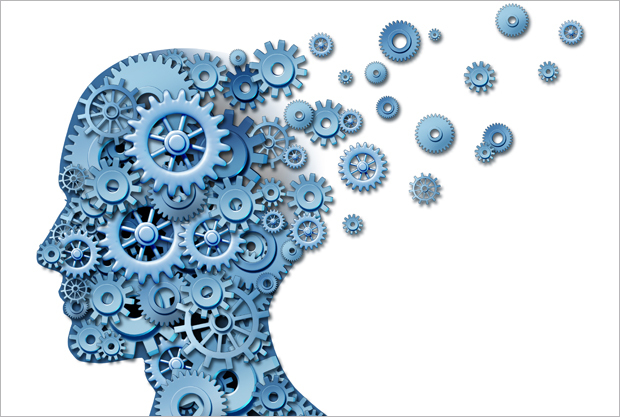 Recovery from the disorder is possible through things like medication and rehab. There are even employment programs to help those with schizophrenia to find jobs more easily. Overall, schizophrenia effects people all over the world and affects 1% of the United States population. There are no immediate or full cures for the disorder, but there are definitely ways to improve and prevent things from being worse in the future. If you or someone you know might have it, contact someone immediately to seek help. Here is a clip from the episode of Dr. Phil that I watched about a young girl with schizophrenia. Trying to handle college nowadays can be extremely difficult for most people. With sports, clubs, and Greek life, most students feel they don’t even have time to manage college on their own anymore. With exams, projects, and homework, tons of students feel they are physically incapable of handling everything at once. And because a class cannot be revolved around one person’s schedule, students often resort to study drugs to fix their problems. 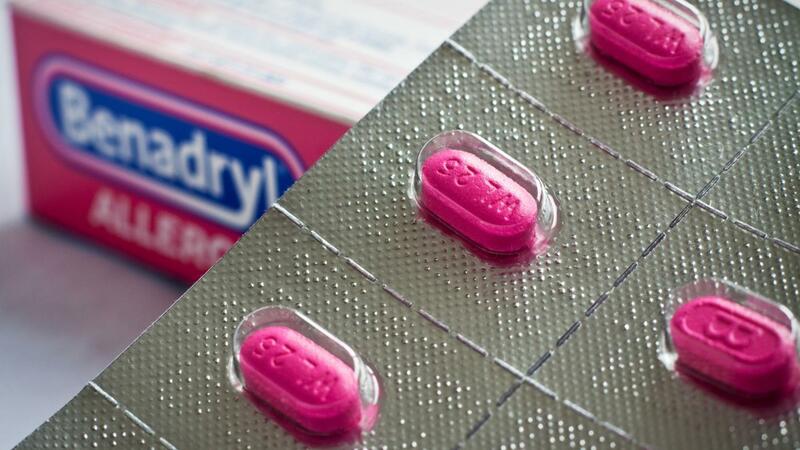 Study drugs can be categorized as drugs that are used to improve focus, such as Adderall and Ritalin. They are originally used for the purpose of helping people with Attention Deficit Disorder, otherwise known as ADD, and Attention Deficit Hyperactivity Disorder, otherwise known as ADHD. Many people think that because these drugs are used to improve ADD and ADHD, they will also help to improve focus for those without ADD and ADHD. Although these drugs may be tempting for some, they are dangerous and illegal if not prescribed to the person using them. Surprisingly still, it is not difficult to find people on college campuses that use Adderall to get ahead in studying. Because it is well known that Adderall is illegal to use without prescription, I researched the dangers of taking Adderall. 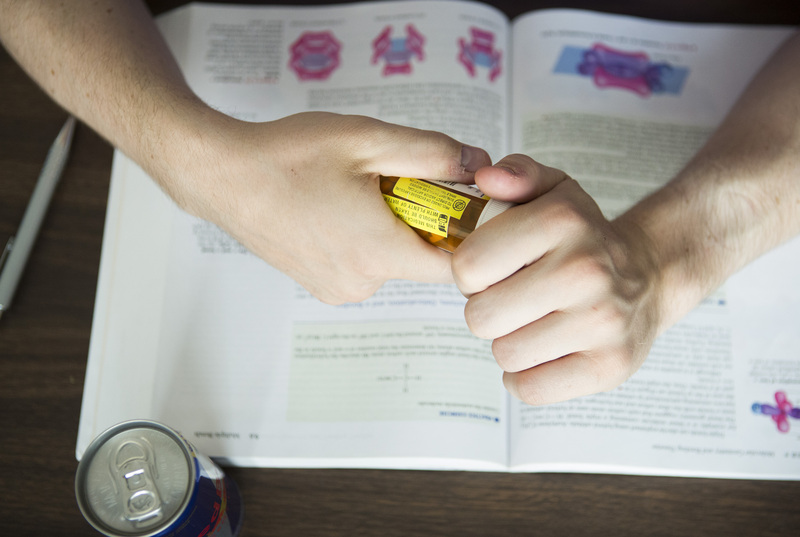 Although it is not well known, Adderall can cause students to become addicted. According to this website here Adderall can be abused in many ways including taking someone else’s medication or taking the drugs for reasons other than medical need. Already, two of these points might be frightening and alarming for students who use Adderall without prescription. This website here states that Adderall is just one chemical group away from being meth. It also mentions that most students who take Adderall or Ritalin without prescription are most likely also taking them with lack of sleep. The article goes onto explain that under the circumstance that a person takes a study drug with lack of sleep, he or she is more likely to have a seizure. Now that we have covered the fact that Adderall is definitely dangerous, let’s look at whether it even improves a person’s overall study habits. This article here shows that drugs like Adderall and Ritalin have no scientific evidence of improving academic performance. Studies from this article show that a person who is willing to use drugs to get ahead in academic performance is most likely involved with other drugs as well. The studies also show that people who use non-prescription drugs typically have lower grades than those who simply study and manage their time effectively. This video gives a clear explanation of why people should not use Adderall if they do not have ADD or ADHD here. So if you’re thinking about using Adderall or any other study drug to help you improve your grades, think again. It’s never worth it to go against the law and put yourself in danger just to get an A! The other night I was extremely tired, but couldn’t fall asleep. I had an exam the next morning and knew I had to get some rest or else I might not be able to function come morning time. As a last resort, I decided to take Benadryl to help me fall asleep. 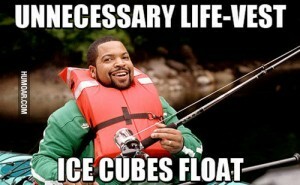 I knew that this would help me pass out, and it did. I fell asleep about twenty minutes after taking it. The next morning I told my friend what I had done and he mentioned something called the placebo effect. He told me that because I was convinced that the Benadryl would put me to sleep, it did, but didn’t necessarily put me to sleep because the pill itself worked. It might have just been me believing it would work. I decided to do some research on whether or not the placebo effect was actually effective, and what studies have been done to prove or disprove it. 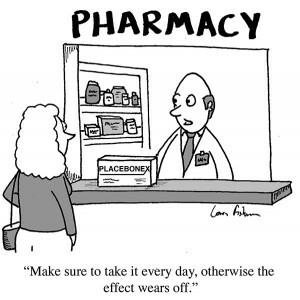 This link here states that placebos have been show to work in about 30 percent of patients. Some researchers believe that patients reacting positively to placebos are just responding psychologically. 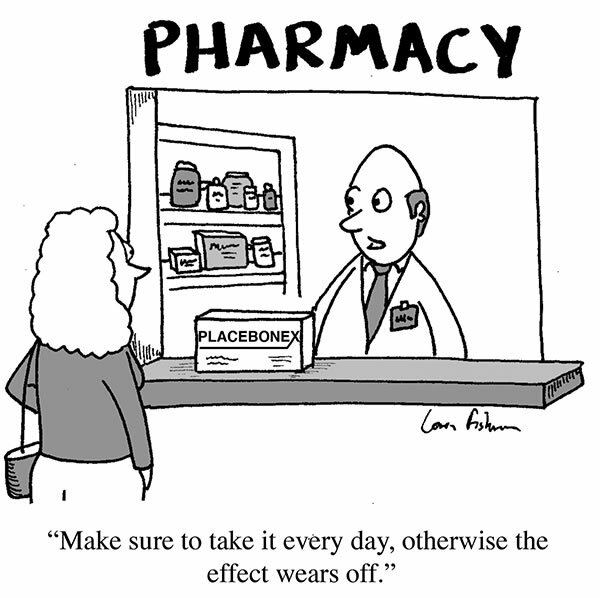 Recent research, however, indicates that placebos might actually bring out a physical response. The video on the article already cited talks about a double blind study that was done. The study gave one group of sick people an actual drug and gave the other group of sick people a placebo drug. Here, the null hypothesis is that there is no difference between the placebo and the actual drug. The alternate hypothesis would be the fact that there is a difference between the placebo and the real drug. After the study was done, researchers found that numerous people who took the placebo pill claimed to be better, even though their pill was not actually meant for improving health. After this study was done, further studies were launched to figure out just what was going on. The video mentions a study done in 2004. The study put painful, harmless injections into people’s jaws. After the painful injection was inserted, the people were told that they were receiving a saline painkiller injection. The painkiller injection, however, was not actually a painkiller. Many people, however, claimed to feel better after the second injection. Afterwards, the researchers viewed people’s brain through pet scans and found that the people’s brains were actually releasing the body’s natural painkiller, called an endorphin. This showed that patients actually experienced relief of pain that was not just in their head. This website here states that the placebo effect may involve changes in brain chemistry, and may actually be used to heal people. There were studies done for people with Parkinson’s disease using placebos. Parkinson’s disease is associated with a shortage of a brain chemical called a dopamine, and in the studies performed; placebos actually increased the production of dopamines in the patients. Although researchers are still trying to fully understand the placebo effect, research has clearly shown that in most cases, the placebo effect works. So now every time you take something to fall asleep or a doctor gives you something to make you feel better, ask yourself whether or not it is the pill actually working or you believing it is. I had a hard time coming up with my third topic for my third blog. Everyone’s topics were so intriguing and I found myself sitting, waiting for something to come to me. As I sat in the chair of my desk, I pondered to myself and finally remembered a topic I have always been eager to know more about– that topic being near-death experiences. Personally, I have always been a religious person. And although I do not strictly follow anything the bible or the church states, I do consider myself to be Christian. I have never doubted the magic and reality of science and I never rule out science when hearing about any specific situation. I did, however, become amazed with the idea and reality of a near-death experience after viewing a video on a Hindu man who claimed he “met Jesus” after he apparently died and then came back to life. I could not wrap my mind around the fact that this man was not even Christian– he was Hindu and he was confirming the fact that he had, in fact, died, met Jesus, and then come back to life again. Although I mentioned the fact that I have always considered myself to be a religious person, I have never really fully believed until I watched these videos on near-death experiences. Of course, still, there is no actual proof on the fact. But, a video of a Hindu man claiming to meet Jesus truly fascinated me, and I could not help but believe the man. According to The Atlantic, most of the near-death experiences that have been reported have been astonishingly similar. 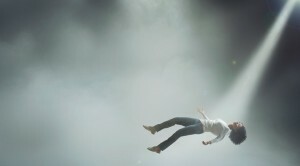 Most people have reported the feeling of “floating up” and meeting things such as spirits or angels. The article mentions the fact that as many times as science has tried to explain the near-death experiences, there is no one, true, verified explanation. Science has attempted to describe near-death experiences as an oxygen shortage, imperfect anesthesia, and the body’s neurochemical responses to trauma. The article mentions, however, that “Near- Death Experiencers” (otherwise known as NDEs) automatically put down the explanations that science has attempted to give to the phenomenal, indescribable experiences. This entry was posted in Uncategorized on September 16, 2016 by Madelyn Erin Peikin. Why are we so Obsessed with Violence in America? From violent TV shows like the Walking Dead and Game of Thrones to video games such as Call of Duty and Grand Theft Auto, we are no strangers to violent acts in culture. In fact, we have almost become desensitized to it. Even the media, once a place to check up on what is going on in America, has turned into sensational news that only shows and tells us gruesome details in order to keep us interested. The question is, why is 2016 American entertainment so much more violent than it was 20-30 years ago? Why has the government allowed more and more leniency on shows for violence? Most importantly, why do we, as a culture love violence so much? According to this article on the center for media literacy, violent scenarios can actually act as a drug for us. Violence is something that we often don’t see in real life and thus it can be extremely exciting to view on television. We can view these violent acts as something to fill our mostly boring, average lives. Likewise, television pushes all the right buttons to light up our neurological senses in order to make it so we get “hooked” on the show, because they pander to our aggressive natures that we often suppress in real life situations. These television companies do things like this to make money. They don’t care about the fact that they are desensitizing more people and children to violence. They do not think about or care about the fact that this desensitization could result in more violence. when the youth of today is faced with a problem, they, perhaps, will use violence to solve that problem because they have become used to violence and have learned so much of what they know from violent television shows and video games. We originally looked at violent TV shows and movies, and why they become so extremely addictive for us. Now, let’s look at the more stereotypical “violent” thing–video games. Why are video games always portrayed by the media as “too violent” but violent movies and TV shows get a pass? Why are infamous video game moments like Call of Duty’s No Russian over no russian (video here) allowed to show the mass shootings of innocent civilians (WARNING: The video above is extremely controversial. Watch at your own risk). The question is, why do game developers make this violence so common in their games? Well, according to this article, it’s quite simple. read this! Game developers make violence in a lot of games because it causes a lot of tension, which we associate with a good story that keeps us focused. Likewise, it keeps our adrenaline up– something that TV shows do as well, as I previously mentioned. The main issue with video games over television in the violence factor is that in games, you are the one controlling the violence. In Call of Duty, you kill hundreds of other soldiers. In Grand Theft Auto, you kill, torture, and rob many people. Likewise, with multiplayer now being the norm, you are, in fact, killing another player’s character. If you think about it, in essence, you are killing someone else. Likewise, video games are played a lot by kids, often without parental supervision. Movies and television, however, often do have parental supervision. 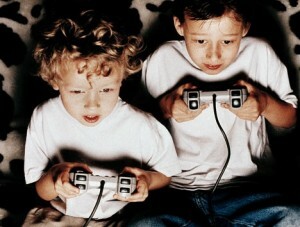 According to this article, over 91% of kids between 2-17 play video games. 91%! That is a huge majority of kids. Parents often don’t understand what their child might be playing. 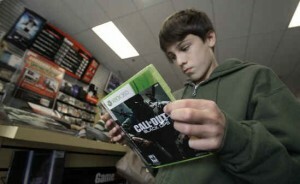 Often times, parents allow their children to play games without knowing the rating of the game. Therefore, many children are playing violent games where they murder people and beat people up. There is no supervision to stop them! They do so because it heightens their senses, give a sense of escape from real life, and give them the adrenaline boost they want. Granted, I’m sure not all of the 91% are playing violent video games.. but many are. So, in conclusion, Americans as a whole enjoy violent video games and other media because it helps them with their natural want to escape from reality, helps push their adrenaline up, and focuses on their neurological wants to get us hooked. Violence has become second nature to Americans that we often don’t consider the consequences of our children growing up in a world filled with violence everywhere we turn. Will it lead our children to becoming more violent? Unfortunately, only time will tell for that. This entry was posted in Uncategorized on September 15, 2016 by Madelyn Erin Peikin. Being in college, we often see people flirting all around us. Whether it be in class, at a football game, or at a party, we will often see people showing each other that they are attracted to one another. The question is, how can you tell if someone is flirting with you? I have heard countless stories from friends referring to instances where they think things are going well with a boy, only to find out that he has a girlfriend. What a waste of time! Having heard enough of this, I decided to find articles on why people flirt with each other. Hopefully, this saves both my friends and the rest of you some time and trouble in the future. According to this article, it takes from one to four minutes to determine whether or not we are into someone. That seems like it is relatively quick, considering the fact that we might not even know the person yet. However, it takes under five minutes for us to decide if we want to try and flirt with someone. Likewise, in the same article, we see that flirting is mostly done (a little bit over 50%) with body language. Examples of body language flirting include: Staring into the recipient’s eyes, matching their body language, laughing often at their jokes, smiling much more often, etc. Therefore, often times, if a boy is smiling more than usual at you, or is copying your body language often (you can test this by moving your arms around a little bit more), or even touching you often, chances are, he is, in fact, flirting with you. Often times in class, we focus on the origins of a scientific problem, asking ourselves why we get worms or why we smoke. So, this begs the question, why do we flirt with someone we’re interested in? Well, the question is quite simple. According to this article on psychology today, our ancestors would often flirt with one another to determine who the right person would be for them to mate with. It’s in our biological nature to try and find a mate as quickly as possible in order to impregnate them, making our species continue as a process. So, next time you are flirting with someone, remember that it is due to your body wanting to reproduce with them and see if they want to as well with you. ha! According to this article on Fox News: i am an article click me, there are actually five types of flirting. These five types include: physical, playful, traditional, sincere, and polite. According to the same article, most of the flirting falls under playful. This shouldn’t come as a surprise, as most flirting you see includes teasing, tickling, and joking with one another. Likewise, this article also includes some ideas about how to flirt with someone (and thus tell if someone is with you). As previously mentioned, this talks about eye contact and touching as the most obvious ways, but also focuses on things that you might not realize, like talking. Apparently, people who are flirting talk more quickly than those who aren’t, and likewise, more smoothly. So not only is it important to take notice of how the other person is touching you or how often they copy your body language, but it is also important to read how they’re talking to you compared to others. So, in essence, flirting is a biological response in humans to try and find a mate to impregnate, according to various articles. It’s in our nature to flirt with those we deem attractive, even if we don’t know it. However, by being more touchy and playful, by copying body language or laughing and smiling more often, you can make yourself more attractive and make him/her know you’re interested easier. Likewise, you can look for the same signs when you are trying to tell if that person is flirting with you. Finally, it’s easier to be honest and show that you are interested right away, saving both of you a headache and whole lot of time. My name is Maddy Peikin and I’m from North Wales, PA, which is a small town located in the suburbs near Philadelphia. I have always found myself to be more of an English/History person rather than a Science/Math person. I was not always extremely disinterested in science. In fact, I remember actually enjoying science class in grade school. I cannot recall exactly when my interest in the subject began to decrease, but I’m sure it was around the time when things began to get more difficult and science was no longer just about memorizing definitions and facts. Although I have never been particularly good at science, I constantly find myself amazed at some of the things science involves. Simple things such as looking at the stars at night or turning off my light at night always cause me to reflect on how it all came to be. I am interested in how things work and what causes them to do the things they do, but I have never enjoyed actually going into detail about these things. After taking biology in high school, I came to the solid conclusion that science would probably never be my “thing.” Often times, science involves math and numbers. I hate math.. and numbers.. so I do not think science has ever come naturally for me. After reviewing the wide variety of topics that we will cover in Science 200, I found myself to be more excited for the course than I had expected! One science topic that I have always been exceptionally interested in is the topic of chemotherapy. I don’t know much about chemotherapy, but after being asked to think about a specific topic we are interested in, chemotherapy was the first thing that came to mind. The only thing I really knew about chemotherapy before looking into it was the fact that it attempts to destroy cancer cells in the body. After reading this article and looking more into the topic, I was amazed at all of the things I learned. here is a nice little link for you all to enjoy. This entry was posted in Uncategorized on August 30, 2016 by Madelyn Erin Peikin.